continue reading "Newman Arms Pie Room Review: Got any room left for a pie?" 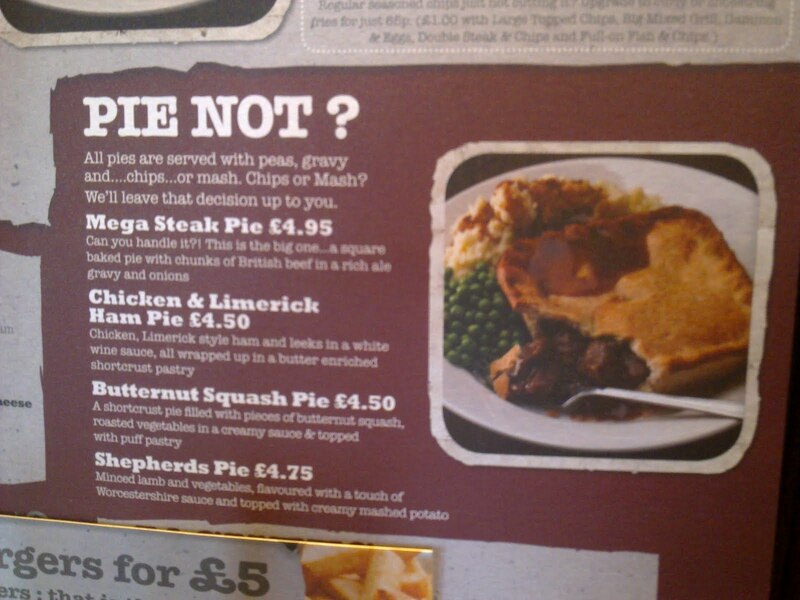 After a hard morning at work, what better way to unwind than with a cheeky lunchtime pie?! 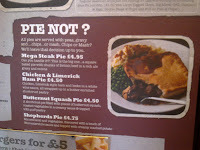 For as it says on the menu – “Pie not?” Heading into the local Scream pub, the “Pies! Pies! Pies! Pies!” slogan on the bar gave me a welcome boost on my lunch break from work (yes, sadly even the top Pierateers have to work hard for their dollar dollar to fund their enormous pie consumption). 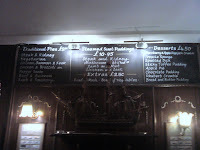 And there was certainly no lack of pies on the pub menu – 4 to be precise including an intriguing Chicken and Limerick Ham Pie which I went for. 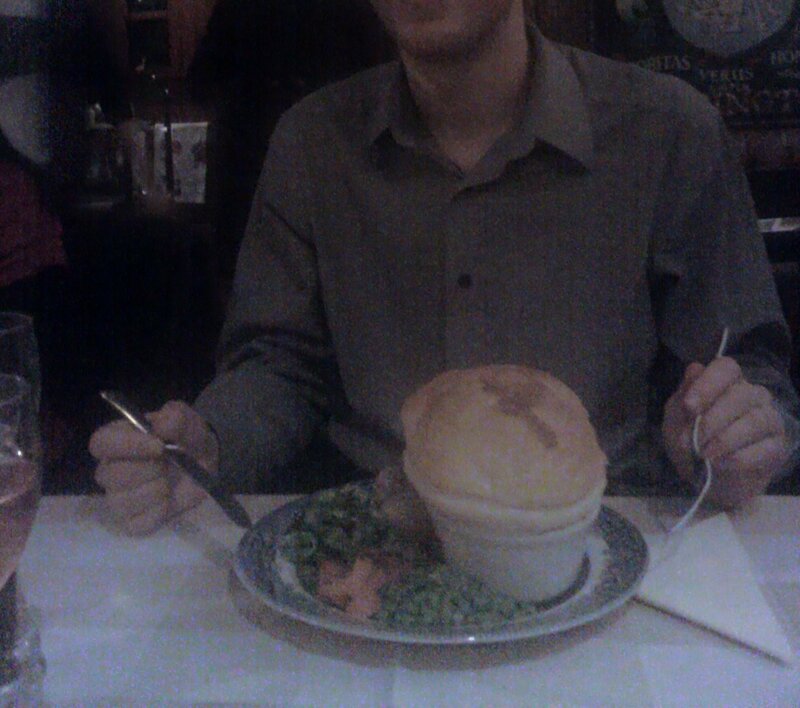 (There was also a Butternut Squash Pie on the menu which wouldn’t really float my boat but certainly provides a random alternative for the veggie pie lovers out there!) And with curly fries on the side, I certainly wasn’t gonna hold back! So to the pie! The pie came served with a layer of beef gravy on top of the pie and the accompanying curly fries and peas...which I have to say has become a staple of recent Chicken Pie purchases for me. 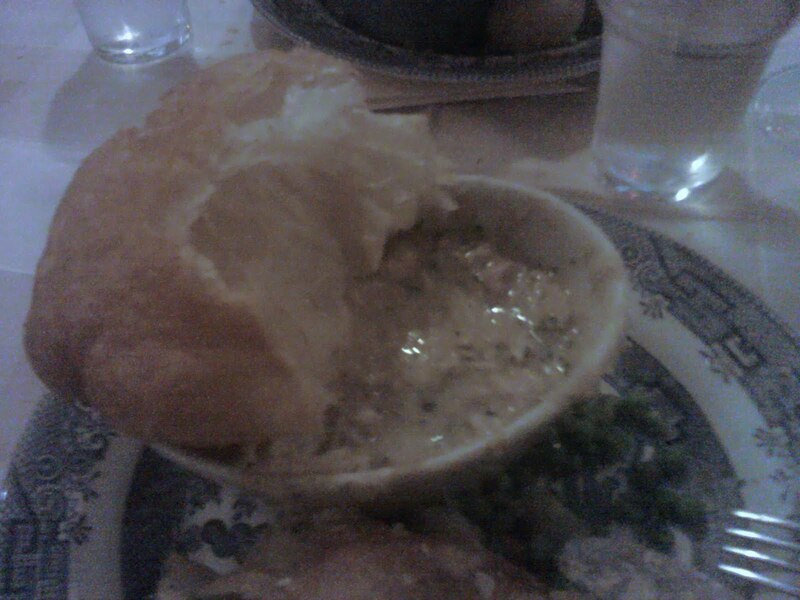 While it certainly re-raised the debate of ‘does beef gravy really go best with a white wine pie sauce?’ personally it didn’t ruin the pie for me. 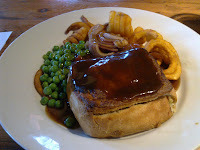 I do think if there’s a nice white wine sauce in the pie then it doesn’t need the dinner to be caked in beef gravy too (and the lads who know me well will know that I love a little bit of dinner with my gravy!) Anyhow... the pie was made with short crust pastry and the lid of the pie was particularly crisp and tasty, even if the base was slightly less tasty and probably on the ‘too thick’ side. But certainly the content was very good – particularly the chicken pieces but the ham was good too (even if you did need a microscope to see the pieces of ham!). Not sure what the ‘Limerick’ part of the ham was all about though! And the leek in there was a little OTT for my liking but complemented the meal in proportion. One thing’s for certain – you wouldn’t be screaming like a baby after downing a pie from your local Scream Pub! Here’s hoping the pies continue to be a staple of their menu, so we’ve got something to continue screaming about here at Pierate! So in summary – while the “Scream Burger” has become a bit of an institution of the Scream chain of pubs, here’s hoping that the “Scream Pies” become a bit of a fans favourite as well! continue reading "Screaming 4 the Pies!" The end of the year brings time for reflection. 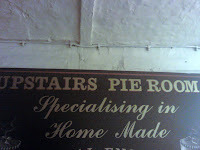 It seems that 2010 was a good year for pies, it is well documented that pie sales have been increasing and we here at pierate.co.uk have eaten a fair few ourselves. But that isn't going to stop me making a new year's resolution to eat more pies. Some might question whether this is sheer lunacy, I must have eaten hundreds this year will there be a risk of a pie overdose? 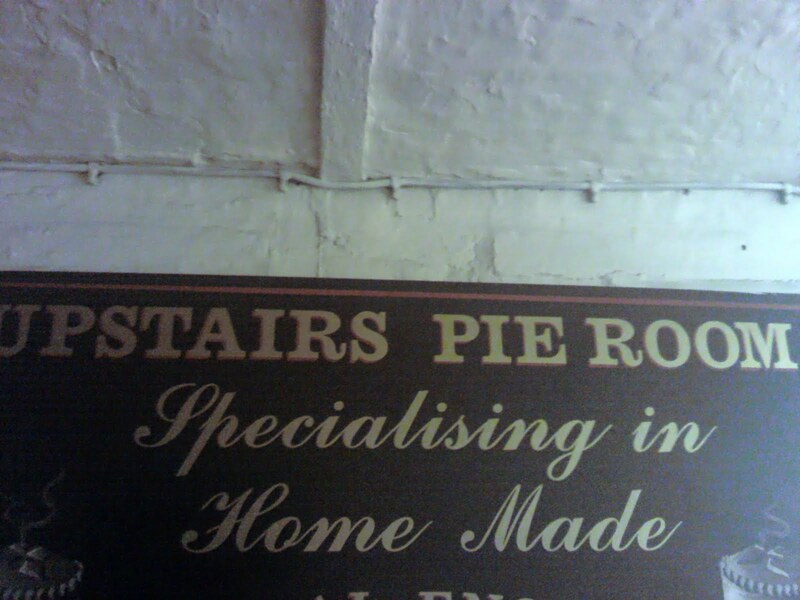 I would say to those people not to worry, this is perfectly safe, I am a trained professional in pie eating. I will have a healthcare expert on standby and I have been preparing myself mentally for the challenge. There is a plate of salad in the fridge in case of emergency but I doubt I will be needing it. I am properly equipped for the challenge thanks to my trusty GOURMET PIE MAKER which I received as a Christmas present from someone who I can only assume was able to read my mind. This is similar in style to a toasted sandwich maker but instead of bread you use pastry. Utilising the leftovers from Christmas I was able to fashion a couple of batches of Turkey, Bacon and Sweetcorn pies. 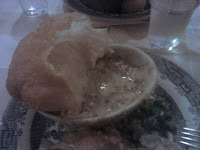 I can recommend Knorr Stock Pots which seemed to add a good flavour to the gravy. 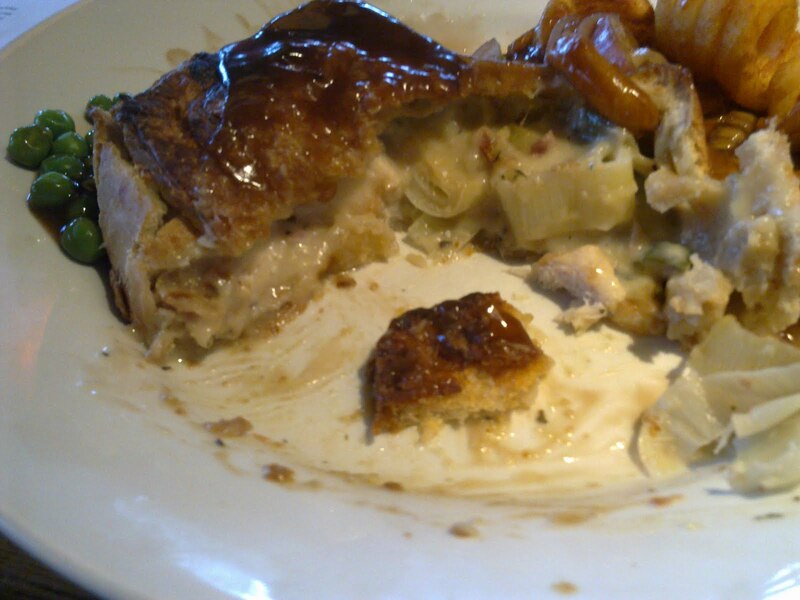 The pie maker did make the pastry go lovely and gooey which isn't so easy to do when just cooking a pie in the oven. I did however manage to create quite a considerable mess making these pies and burn myself. However no animals were harmed in the making of these pies. Apart from the ones that were eaten in the pies that is. Overall I was hugely happy with the way these turned out and hopefully it will help me meet my new year's resolution. Happy 2011 everyone! continue reading "Make the most of 2011"